The banking and financial system in India has considerably transformed itself. Not only they have flexible policies and features for the customers but now the banks and NBFCs extend their loan schemes to the retired people and pensioners as well. The pensioners can now easily apply for the personal loan online and can fulfil their aspirations or meet the financial needs in case of an emergency. The pensioners' loan offered by bank allows the pensioners to take the loan against FDs, pension, National Saving Certificates, etc. Despite many banks and financial institutions reluctant to give the loan to the pensioners, some of the prominent banks like State Bank of India, Dena Bank, Bank of Baroda, PNB, etc. 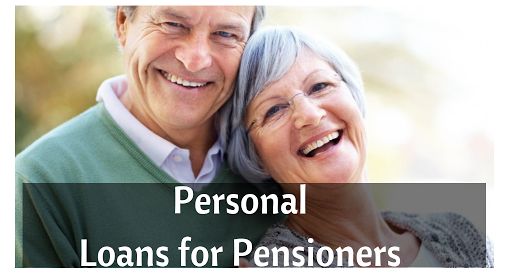 provide the personal loan to the pensioners quite easily. One can check whether he will get a personal loan for pensioners by clicking here. State Bank of India- SBI is one of the leading government banks in India that also offers the personal loan to the pensioners. The bank extends the loan to retired Central and State Government. The objective behind this loan is to help the pensioners meet financial needs. Processing Fees: The defence pensioners are not charged any processing fee. For others, the processing fees can be up to 0.5% of the loan amount plus taxes. This minimum processing fees charged by SBI is ₹ 500 plus taxes. Central Bank of India – This leading bank provides personal loan to the pensioners and retired professionals. Central Bank of India offers a lucrative interest rate and there is no processing fees thus making it easy for the pensioners to avail the loan. Loan Limit: ₹ 5 Lakhs for the pensioners who are below 75 years and ₹ 2 Lakhs for the pensioners who are above 75 years. 1. The pensioners should be drawing pension via Central Bank. Punjab National Bank – PNB is known for providing a range of loans and financial schemes to the people. The bank provides personal loan to the pensioners and retired professionals. Central Bank of India offers a lucrative interest rate and there are no processing fees thus making it easy for the pensioners to avail the loan. Processing Fees: There are no processing fees charged by the Punjab National Bank but it does charge ₹ 500 as documentation charge. Interest Rate: 2.60% above the MCLR. The pensioner drawing pension via PNB branch is eligible for the pension loan from Punjab National Bank. Bank of Baroda Loan to Pensioners- Bank of Baroda is one of the leading banks providing loans and other financial products to the individuals looking for financial help. Loan Limit: ₹ 8 Lakhs for the pensioners who are below 70 years and ₹ 1.5 Lakhs for the pensioners who are above 70 years. Interest Rate: The base rate plus 2.00% p.a. BOI- The Bank of India or BOI offers Star Pensioner Loan Scheme to the prisoners. Pensioners drawing their pension from Bank of India or are retired employees of Bank of India is eligible to get a personal loan from Bank of India. Processing Fees: There are no processing fees charged from pensioners who are above the age of 60. Pensioners who are above the age of 60 are charged a processing fee of 2% of the loan amount. ID Proof- Pensioners need to submit Voter Card, Aadhaar Card, Passport, etc. Address Proof- In order to submit your address proof, the bank will ask you to submit utility bills or telephone bill, electricity bill. Proof of retirement and a proof showing the details of your last employer. As mentioned above, banks have already become very flexible when it comes to providing the personal loan to the pensioners. Apart from the above-mentioned banks, there are other banks that offer the personal loan to the pensioners. Most banks have set an upper age limit of 75 years while others restrict the age to 70 years. The personal loan not only helps them to meet their needs but also their aspirations and wants. To get any assistance, please fill out the blog form. Our representative will get in touch with you.